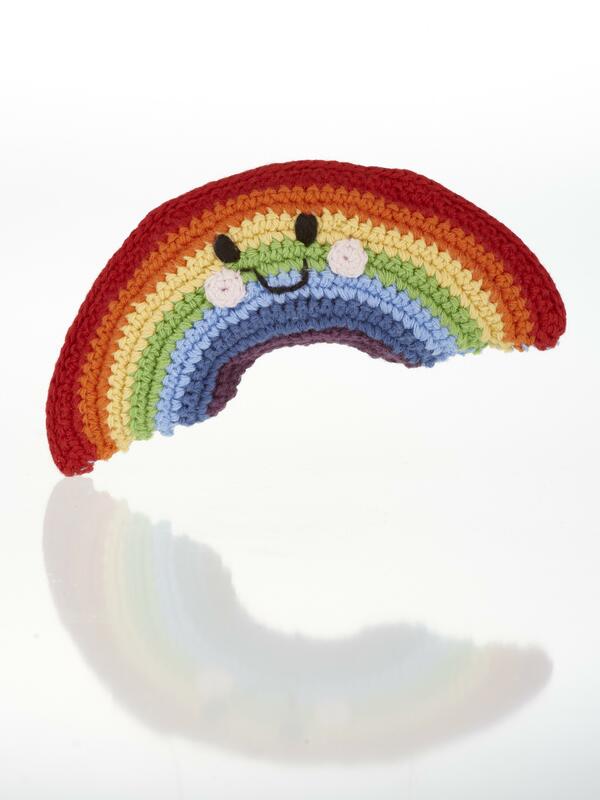 This gorgeous rainbow baby toy is crocheted from soft cotton yarn with a cute smiley face. Handmade by Pebble toys, this rainbow baby rattle is suitable from birth and machine washable. This would make an ideal gift for a newborn baby.